Check out The Thrift Shop to grab some great deals like these eyes by Pin Me Down! 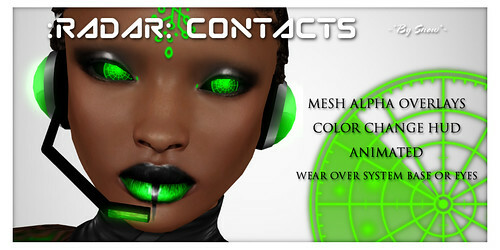 These cybertech-ish eyes come in a fat pack with ten vivid colors in system & mesh versions. The mesh eyes are modify for fitting & you can add glow if desired. They are a wonderful complement to cybergoth & andoid styles for a pop of color. Everything is 50% off & it’s a sim full of awesome stuff along with gachas! Event Ends August 31st, 2013.